1000 Hills Chef School | SAAGA Annual Culinary Competition - 1000 Hills Chef School Does It! SAAGA Annual Culinary Competition - 1000 Hills Chef School Does It! Why 1000 Hills Chef School? SAAGA Chef School Competition 2017 – 1000 Hills Chef School Does It Again! 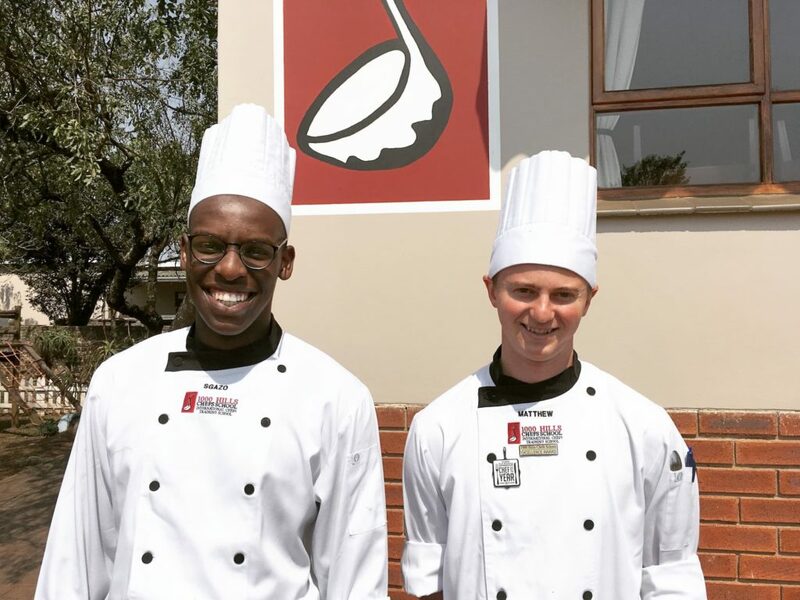 Nhlakanipho “Sgazo” Ngubane is the cream of the crop, having just taken the win in the South African Avocado Grower’s Association’s (SAAGA) Annual Culinary School Competition, hot on the heels of his recent win in the Huletts Sweet Young Chef of the Year award. He is joined by Matthew Burke, one of our first-year students, who took second place in this competition. 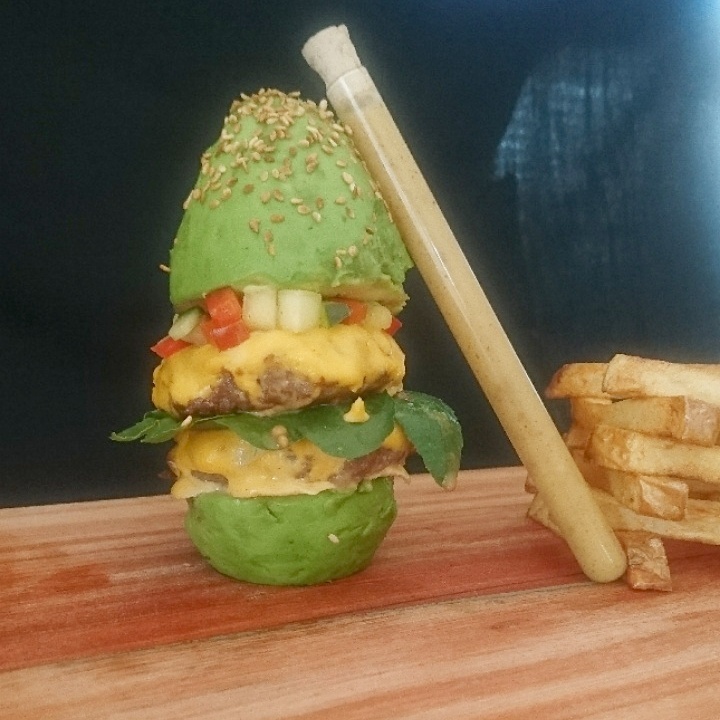 The “ILoveAvo’s” competition is a favourite with our students, and this year the challenge was set to create an avo burger, replacing the bread burger bun with an avocado. With almost 70 entries from culinary schools all around the country, the contest was a great motivator for all the participants, inspiring a great deal of extra research into burger trends, unique food flavours and even food photography. The competition was open to public voting, with students encouraging friends and family to get involved and vote for their favourite. The top five “people’s choice” burgers then went through to the final round, where chefs recreated the student’s dishes from the recipes provided and finally, the ultimate taste test! This is where Sgazo’s “Smoked chicken avocado burger, with horseradish cream, pickled red onions, cheddar cheese, gherkins and sliced tomato” took first prize. 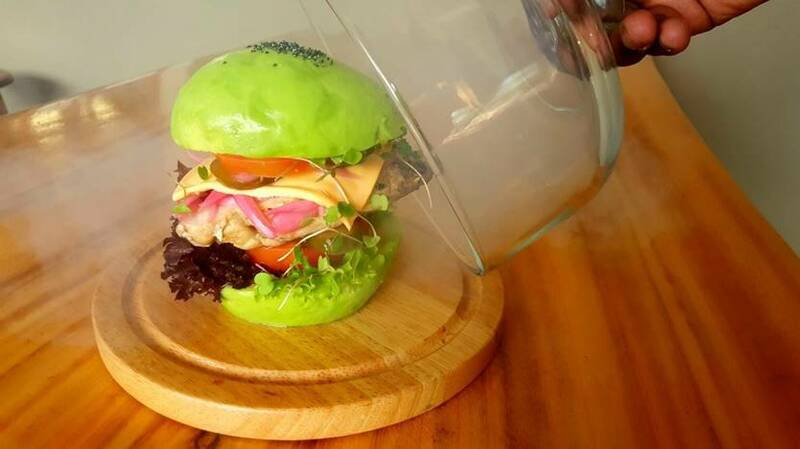 Served in an innovative way, with a hint of the hickory smoke under a glass dome, the entire burger was infused with flavour that gave it a “meaty” edge. Sgazo, who finished 4th in the competition last year, is thrilled with his win. He said the challenge of working within the burger bun parameters meant young chefs had to be really creative to stand out. Matt’s double pork and beef patty, with aged cheddar, rocket, pineapple salsa (pineapple, red pepper, onion, coriander and cucumber) and a honey mustard dressing with chunky chips on the side.